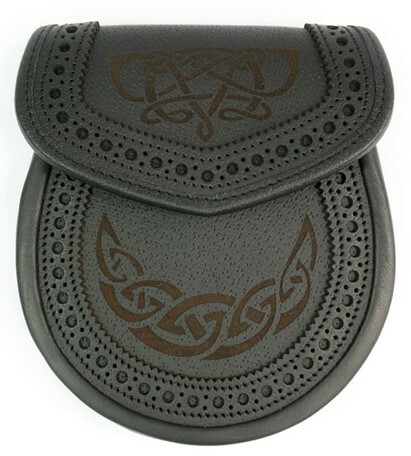 Beautiful Celtic Knot Engraved Sporran accented with brouged leather trim.. A fantastic unique sporran with an elaborate Celtic knot design!A truly sunning sporran that is will get many compliments! Made in Scotland. Come complete with sporran chain.